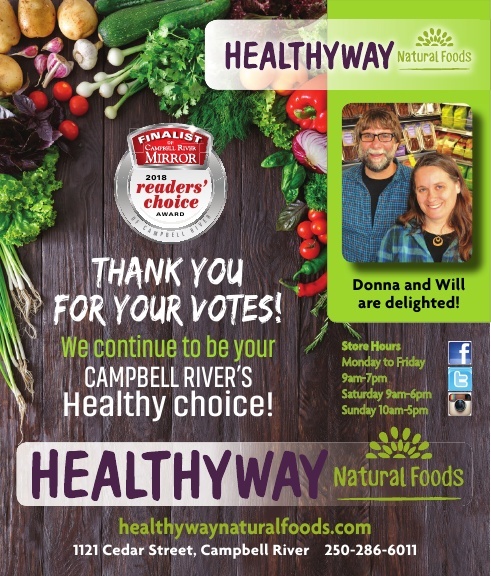 Best "Health & Wellness Shop"
Healthyway is please to announce that our community has chosen us as the best Health & Wellness shop in Campbell River. Thank you for your votes and thank you to the Campbell River Mirror for giving local business an opportunity to shine with the Reader's Choice Awards. 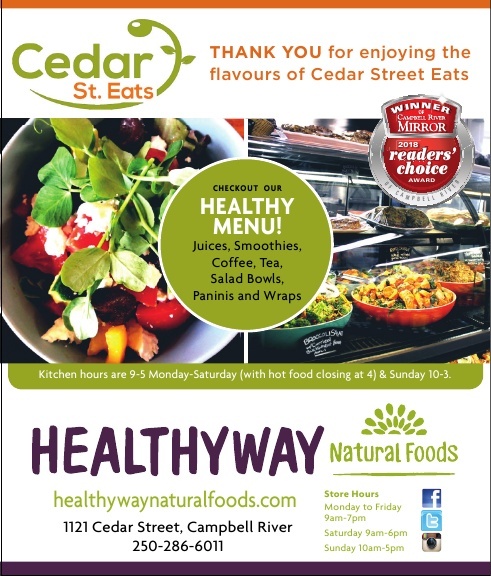 The cafe page of this website is still being updated. 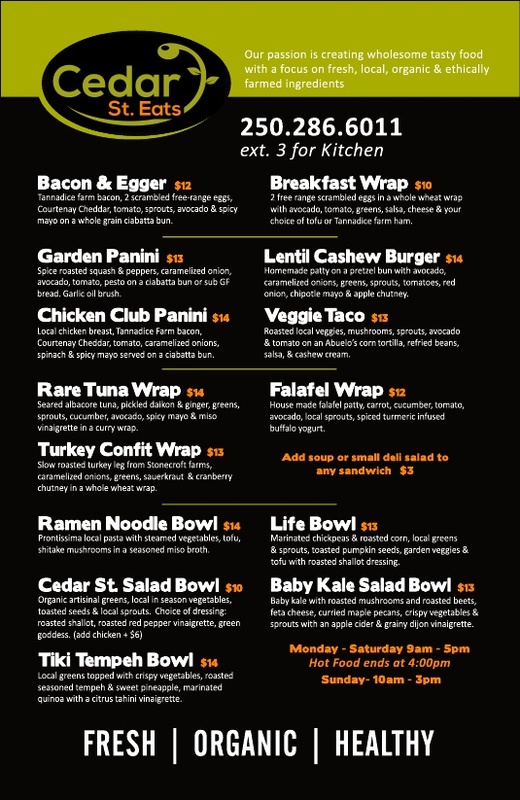 This is the current menu as of Oct 25,2018.